Planners transformed an abandoned railroad right-of-way into Coulee Verte Rene-Dumont, a 6.4 km (4 mi) park. About half is elevated above street level on the old rail viaduct. This long, narrow park allows you to walk from Place de Bastille to the Bois de Vincennes. 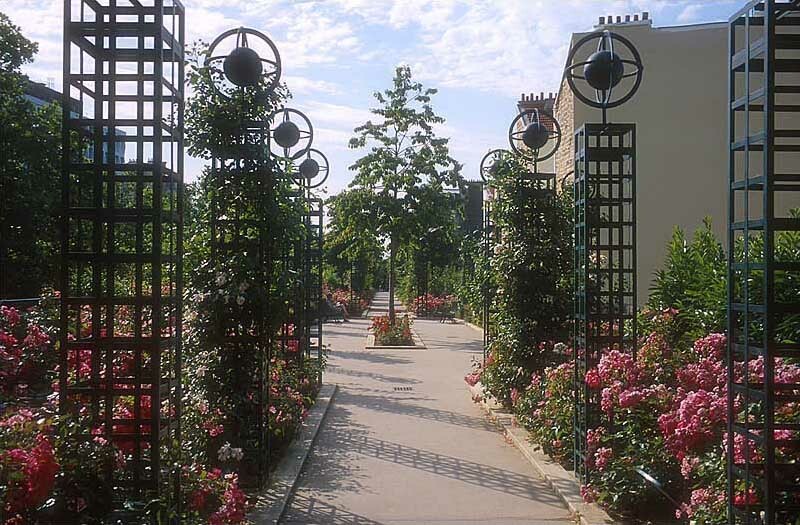 Our Paris trip itinerary planning website makes visiting Coulee Verte Rene-Dumont and other Paris attractions simple, and helps you make a travel plan personal to you. What has always made me smile is this word of "casting", as if the Parisians were drowned under tons of greenery, that they had been offered a Green Highway, that we had opened trenches. Rest assured, it is not the work of the Grand Paris that are, them, sinking us... It is rather a small mouse, this Green casting, a simple course laid out on an old railroad track. I let you imagine all the place there is and how places can lend to dream. To do at least once if you do not know but nothing exceptional. The cars, the smoke of the exhausts, the infernal noise, the urbanization, all this will continue to be part of your walk on this simple Parisian walk arranged where it is often necessary to play elbows to move forward or be obliged to deviate its to avoid creating a cork with other passers-by. What a wonderful idea to allow the walkers of the capital to pace this pouring in its beautiful green setting. You can breathe much more healthily than in the streets, boulevards and avenues of Paris! I was insanely happy to discover this elevated garden walkway! It’s in the Bastille and it’s gorgeous. It’s just like the High Line in NYC. Highly recommended. Great views of Paris! Very nice for a stroll, looking down to the streets below. Can easily go unnoticed, so look out for the access points.